All are welcome to worship and pray with the Wheaton Franciscans in our beautiful chapel in the Our Lady of the Angels Motherhouse. In addition to our scheduled liturgies and prayer services, you are welcome to visit the chapel any time during regular business hours. Please note: The mass schedule is subject to change. Please feel free to call our receptionist at 630-909-6600 to verify the time in question. Click here for the complete Our Lady of the Angels Chapel monthly liturgy calendar. 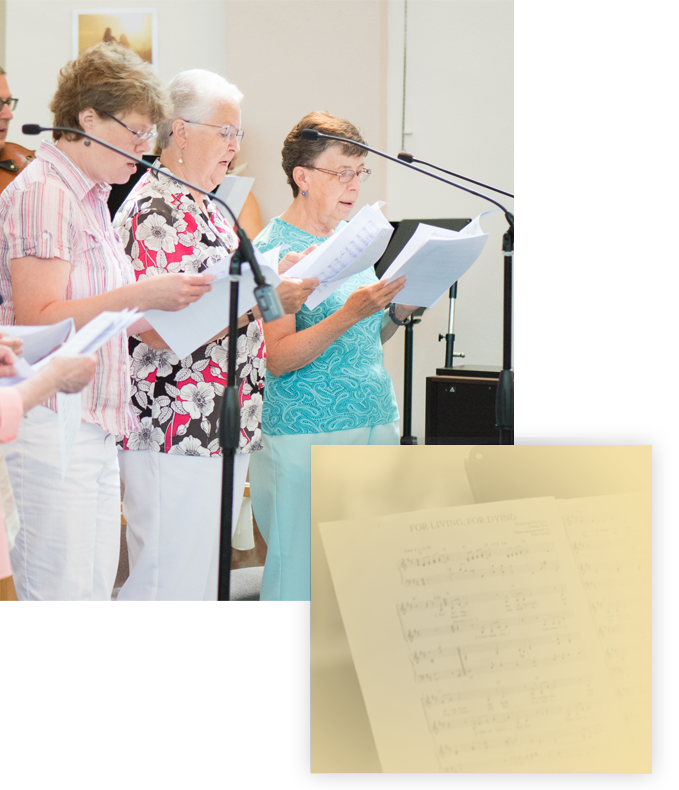 We are always looking for additional singers and musicians to enhance our Sunday worship. If you are interested in being part of our Sunday worship, or interested in serving in the various ministries needed for our Sunday Liturgy, please contact: Melanie Teska, Director of Liturgy at 630-909-6850 or mteska@wfsisters.org. Throughout the year there will be opportunities for individuals to gather in small groups to pray, reflect, listen and share. Visit this page often as opportunities will be posted here as they arise. We warmly invite you to join our worshipping community!